Rotator cuff tendonitis and bursitis reduce the space inside the shoulder, and this can cause shoulder impingement, which occurs when the rotator cuff tendons become trapped and compressed during shoulder movements. This injury can cause pain at rest, or when the arm is moved. Failure to treat this injury can cause it to recur. The rotator cuff is subject to micro trauma in overhead athletes again and again as they throw, pitch or swing. This micro trauma can cause small or severe tears in the rotator cuff. Depending on the severity, these tears can cause mild pain during shoulder movement, or a complete inability to move the arm. These conditions and injuries can put an athlete out for weeks or months, costing precious game or practice time. 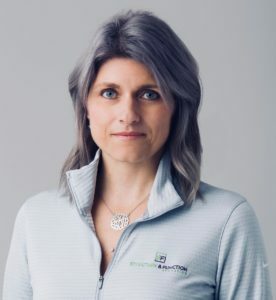 Shoulder injuries can also lead to costly surgery and the frustrating process of rehabilitation, often players never returning to their original form prior to the injury. For athletes climbing the ranks in the early stages of the career, this can cost them the experience they need to ‘break’ into the team they want. For athletes in the later stage of a career, these conditions and injuries can put an end to their careers and send them into early retirement. But most of all, these shoulder conditions and injuries can cause constant pain, a decrease in form and can stop people from playing the sports they love. Whether your clients are professional athletes whose multi-million dollar contracts rely on their shoulder performing optimally and pain-free… … or weekend warriors who just want to enjoy playing their favorite sports pain-free for as many years as possible, you need to learn how to look after the shoulder. 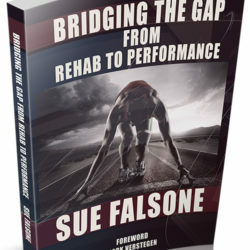 If you work with people suffering from shoulder problems, get Sue Falsone’s The Shoulder: Implications for the Overhead Athlete and Beyond and learn how to treat these common shoulder compensations. 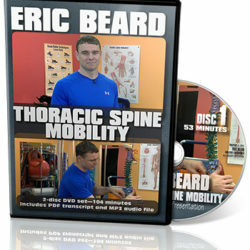 You’ll find the tools you need to restore function, reduce pain and help avoid shoulder injuries in your clients. The physical DVD is a 2-disc, 68-minute DVD set.